The time to evaluate your content marketing is now, but what's the best way to understand it? Content Scoring is one of the most effective ways to evaluate your content marketing and uncover why your content is performing well (or poorly). It is known to be a time consuming and somewhat complicated process. Luckily, we are living in a technological age where emerging technologies such as AI are making our jobs as marketers much easier. 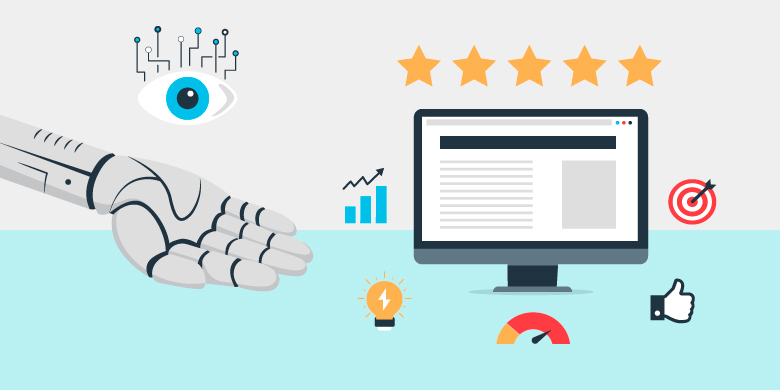 How Does AI Affect Content Scoring? Content Scoring helps you automate your content creation process. It allows you to use the insights extracted from your historical content to assist you in creating content in the future. By using these insights, there is a better chance of your content resonating with your audience and helping you achieve your business goals. AI can help you streamline this process even further by giving you the ability to make your workflow more efficient, while pulling insights from your data in an unbiased way.